Michael K. Harrist | musician, educator and producer based in Boston USA. 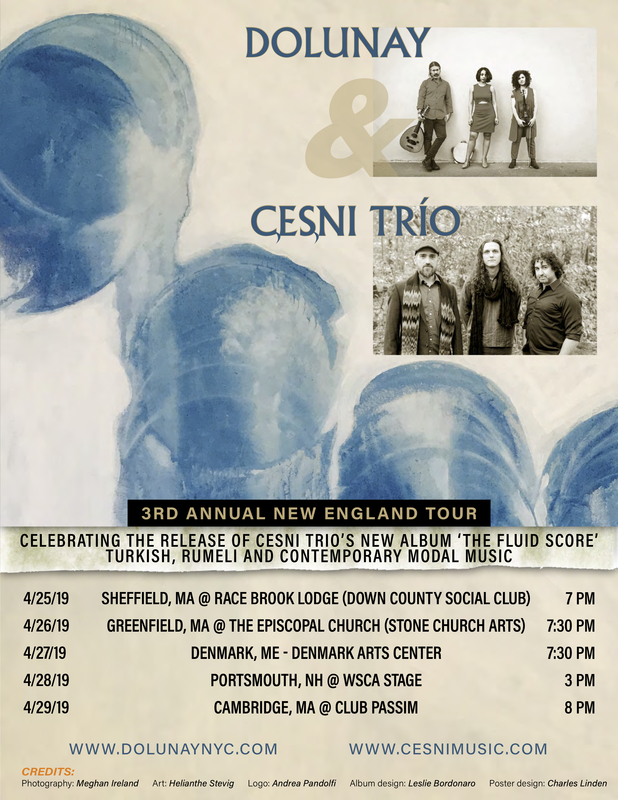 Çeşni Trio album release and tour with Dolunay! 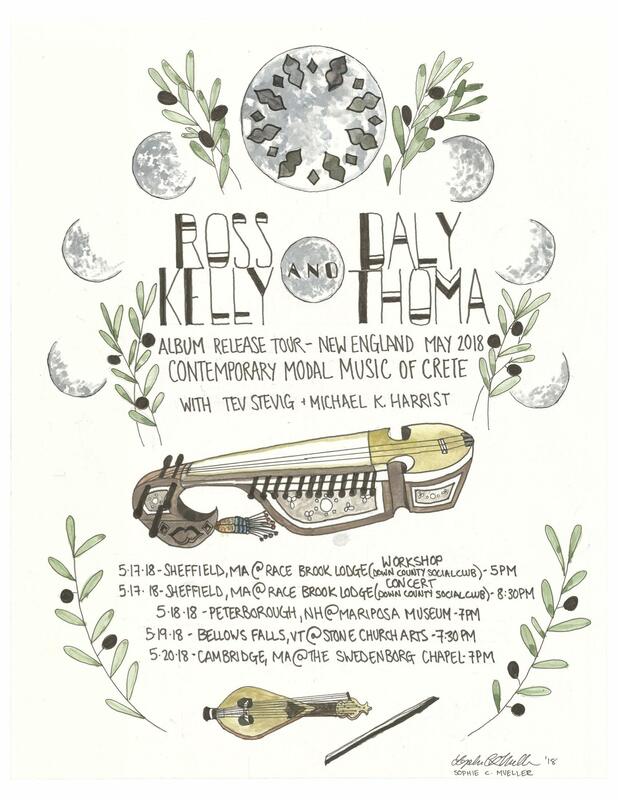 Ross Daly and Kelly Thoma Spring tour! 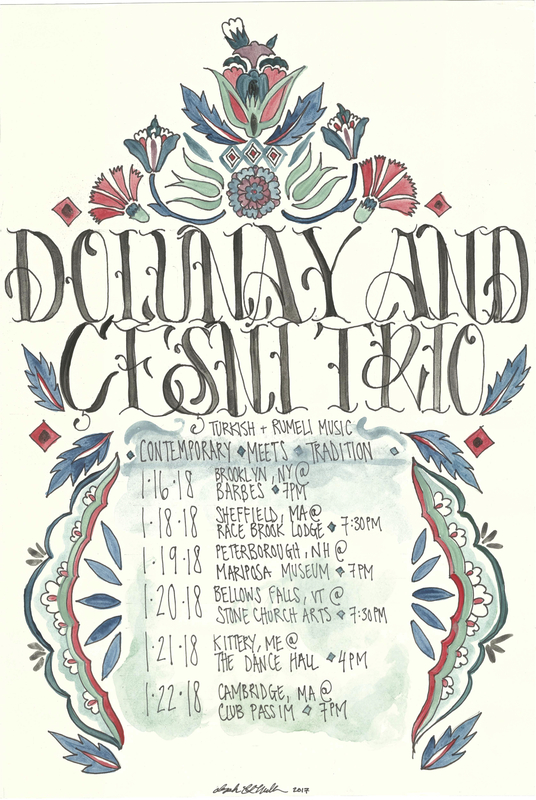 Winter Tour with Dolunay and Çeşni Trio! 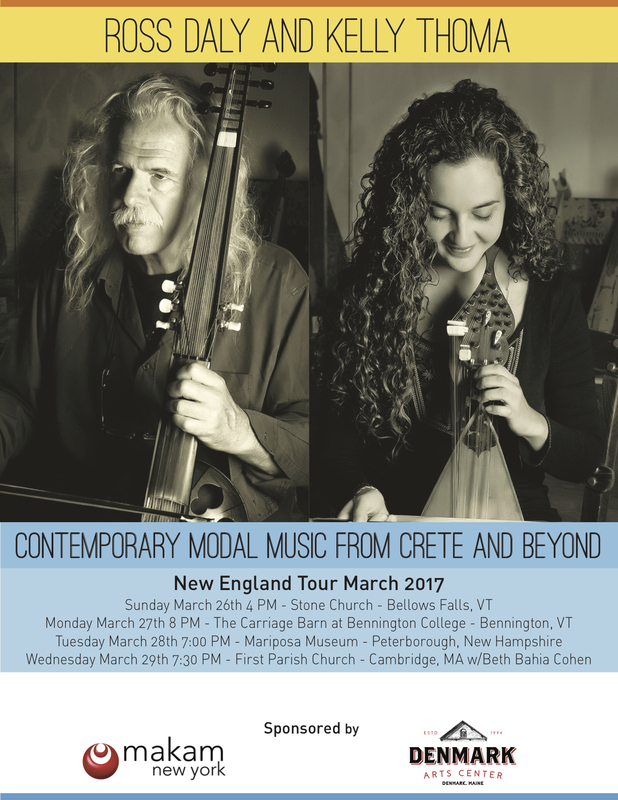 Ross Daly and Kelly Thoma tour March 2017! Spin yarn, spin music, spin what you will. Renate Hiller has some beautiful things to say about working with the hands and the contemplative aspects of crafting and other creative pursuits. “It makes us skilled in general… This makes us think of what is needed by something else. So we are in a way practicing empathy — empathy with the material, empathy with the design… You have to find your way; you have to listen with your whole being.” -Renate Hiller. Thanks to Chuck Smith and Sono Kuwayama for the video and to Trent Gilliss of OnBeing for bringing this to our attention. I had a lovely trip to Turkey and Greece this last month. It was a study vacation of sorts and I have returned to the States with new compositions, friendships and inspiration. It warmed my heart to be with old friends and deepen old relationships. I had a fruitful meeting with Tolgahan Çoğulu in Istanbul and will be putting the finishing touches on a piece to be recorded for his microtonal guitar. I studied with three wonderful musician-teachers Harris Lembrakis, Hakan Talu and Evgenios Voulgaris. Thank you to Refik Algan and friends, Dimitris Malanos and family, Ross Daly and Kelly Thoma, Eleftheria Daoultzi and Mania Asimakopoulou for their awesome hospitality and friendship. Truly, I’ve been blessed to spend time with such beautiful musician-humans the last weeks. Things back home have been moving along. 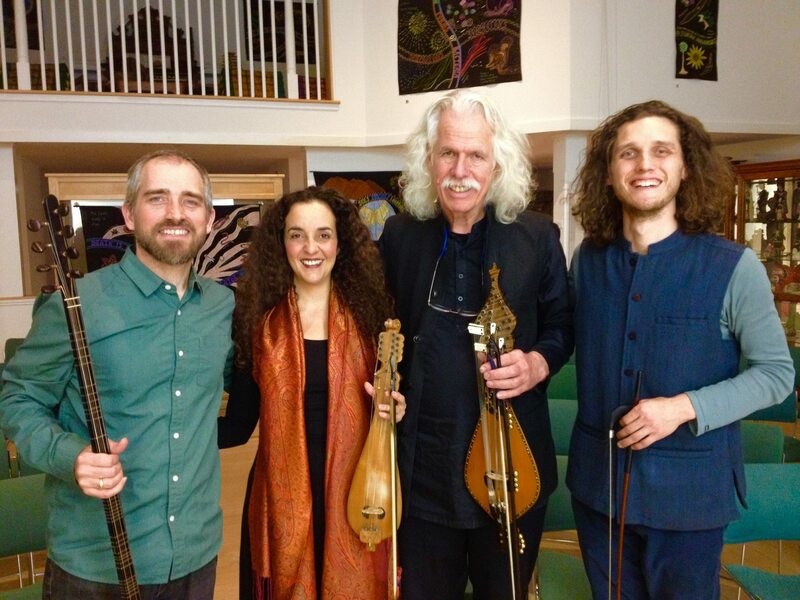 In August I made a trip to Cedarhouse Sound in NH and laid down yaylı tanbur, ney, bass and vocals on some of Lua Hightower‘s beautiful new tracks. It was such a pleasure to sink into the ilahi/zhikr pieces and get with Lua’s energy. Çeşni Trio is giving a few concerts before the end of the year. Please come and check out this relatively new ensemble featuring myself, Tev Stevig and Fabio Pirozzolo. The trio plays original compositions and arrangements based in Turkish art music and folk traditions and branches out from there. We play two dates with Brooklyn based Dolunay: 11/11 @ The DAC in Denmark, ME and 11/12 @ Club Passim in Cambridge, MA. We will play as part of the Mandorla Music Series on 12/2 @ Third Life Studio in Somerville, MA. In addition to these, we continue our monthly residency @ Outpost 186 in Cambridge, MA: 9/28, 10/26, 11/23 and 12/28. 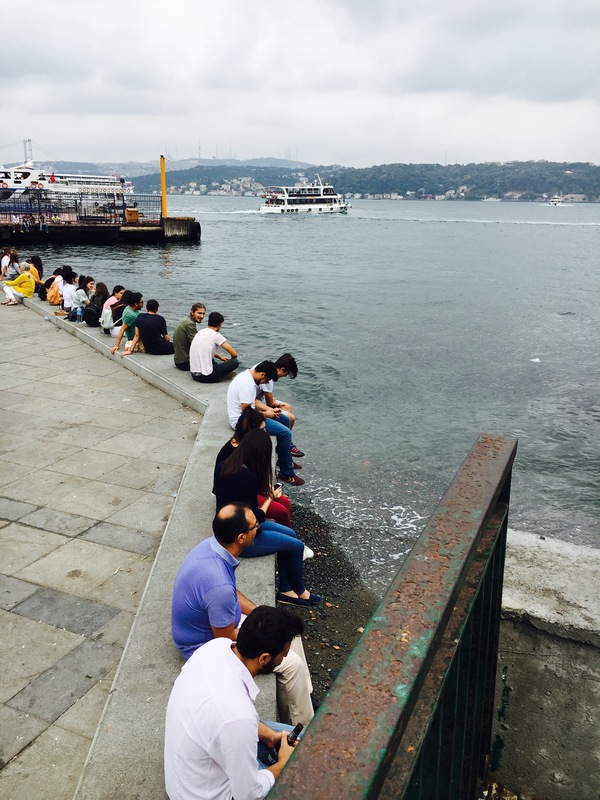 Orkestra Marhaba is always up to something. 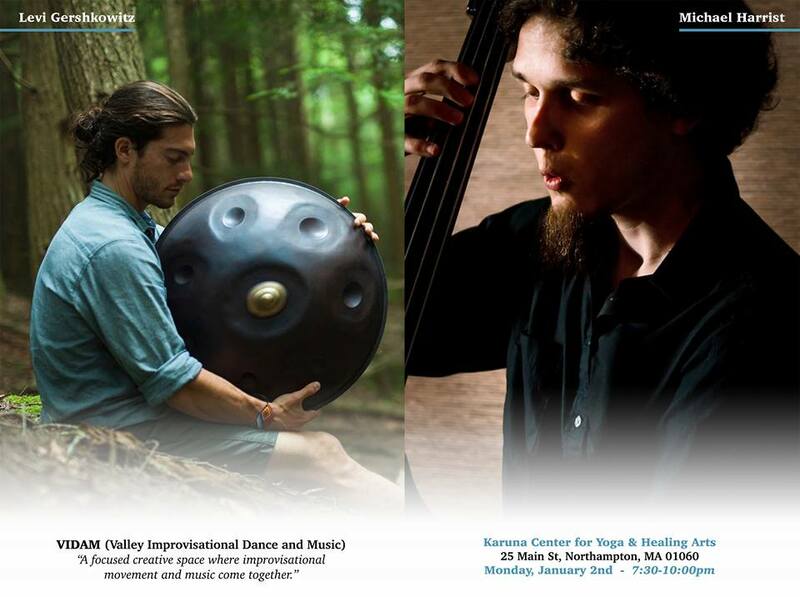 We have some Sema/Ayin performances this fall as well as one offs throughout New England. Check the website for specific dates. Then there’s the band that keeps me on the move… In the last few months Ameranouche has been throughout the Northeast, Mid-West, Colorado and New Mexico and Canada. Thanks to all the friends that have kindly hosted us and come out to the concerts. We continue the touring life off and on throughout the fall and are trying to finish up a record in the spaces between. Lastly, I’m looking forward to getting back with my students after a month away. They continue to inspire and bring me joy. Music is not found in instruments, but in the transmission between hearts. May it be easy and full of love. 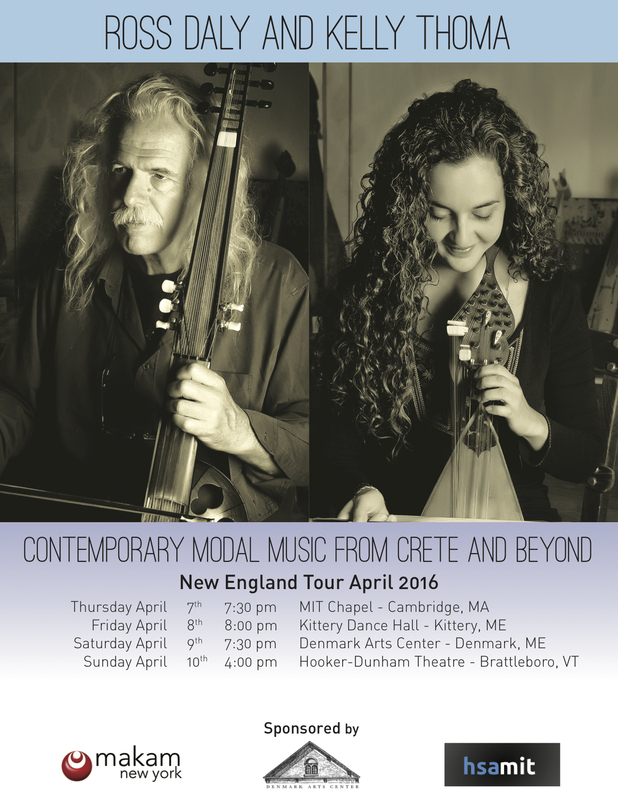 Among many musical projects, new compositions and inspiring students, I’m blessed to have a part in bringing Ross Daly and Kelly Thoma to New England in early April! Daly is a virtuoso on the Cretan lyra, a small, pear-shaped bowed lute that has traditionally accompanied dance and epic songs. He’s spent his life exploring the possibilities and connections in modal music, recording and performing all over the globe as well as hosting the annual Labyrinth musical workshop in his home village of Houdetsi on the island of Crete. Daly and Thoma are fresh off a performance at Carnegie Hall in December 2015. How sweet to have them in our neck of the woods! A Happy New Year! May 2015 smile on you and yours. Orkestra Marhaba has a new website! Neyzen, singer, and queen of usul Shanteri did a wonderful job putting it together. She included all sorts of great info on the tradition and its instruments: www.orkestramarhaba.com. Ameranouche is playing 3 sets at New Year’s By the Bay in Belfast, ME. We start around 9 PM and will ring in the New Year. The ‘Nouche is also in the mixing/mastering/packaging stages of our new record due out in April. My friend John Hughes has a new record out! Check it out here: Solo Kora Live from the Streets. My teacher W. A. Mathieu is constantly releasing new works and recordings: Cold Mountain Music. I’m glad to have reconnected with saxophonist Joel Press. What a treat to have him back in Boston! Besides some holiday gigs and other work, I’ve been so thankful to have had some time for composition. I hope to bring a batch to the vibration of day in this New Year.